Golden Gate Capital (“Golden Gate”), a leading private equity investment firm, today announced that it has acquired The Learning Experience, one of the nation's largest and fastest-growing academies of early education for children six weeks to six years old. 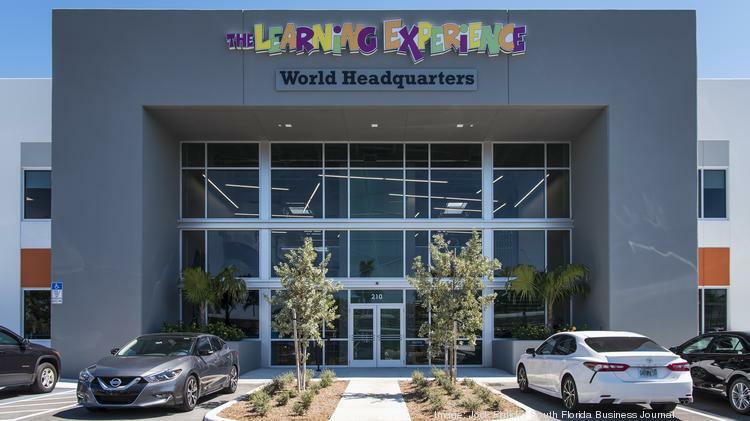 The Learning Experience, headquartered in Deerfield Beach, Florida, is led by Co-Founder, Chairman, and Chief Executive Officer Richard Weissman. Financial terms of the transaction were not disclosed. Richard Weissman co-founded The Learning Experience in 2001, building on the Weissman family’s decades of experience developing and implementing child care and early education programs in a safe and positive environment. The Learning Experience offers state-of-the-art facilities and a proprietary curriculum for children to develop core academic skills, fitness and healthy lifestyle skills, and life and comfort skills, all under the care of nurturing teachers and staff. For nearly 20 years, The Learning Experience has provided the foundation necessary for children to succeed in preschool, kindergarten, and beyond. Over the past two decades, Weissman successfully pioneered a franchise model to expand The Learning Experience to more than 300 company-owned and franchise centers operating or under development across 22 states, with plans to open its first international location in late 2019 in the United Kingdom. The Learning Experience has generated double-digit annual growth for the past 15 years, making it a clear leader in the early childhood education sector. Ropes & Gray LLP and Nob Hill Law Group P.C. served as legal advisors to Golden Gate Capital. Harris Williams & Co. served The Learning Experience as financial advisor and Goodwin Procter LLP and Greenberg Traurig LLP served as legal advisors to the Company. Varagon Capital Partners will serve as administrative agent on a senior secured credit facility. Golden Gate Capital is a San Francisco-based private equity investment firm with over $15 billion of capital under management. The principals of Golden Gate Capital have a long and successful history of investing across a wide range of industries and transaction types, including going-privates, corporate divestitures, and recapitalizations, as well as debt and public equity investments. Representative multi-unit consumer sector investments sponsored by Golden Gate Capital include Express Oil Change & Tire Engineers, Mavis Discount Tire, Bob Evans Restaurants, Red Lobster, Eddie Bauer, California Pizza Kitchen, Pacific Sunwear, Express, and Zales. For more information, visit www.goldengatecap.com. The Learning Experience®, with more than 300 centers operating or under development, is one of the nation's fastest-growing Academies of Early Education for children ages six weeks to six years old. With a greater national emphasis on educational development during the most crucial years of a child's growth, The Learning Experience places a prominent focus on programs that advance scholastic preparation. The Learning Experience prepares children academically and socially via innovative scholastic and enrichment programs such as the L.E.A.P.® curriculum, a cutting-edge proprietary approach to learning which has 9 out of 10 of its children entering Kindergarten already reading. To complement the academic curriculum, The Learning Experience utilizes various enrichment programs crucial to advancing learning and overall balance, such as philanthropy, Yippee 4 Yoga™, Music 4 Me®, Movin' N Groovin'®, manners and etiquette, and foreign language.